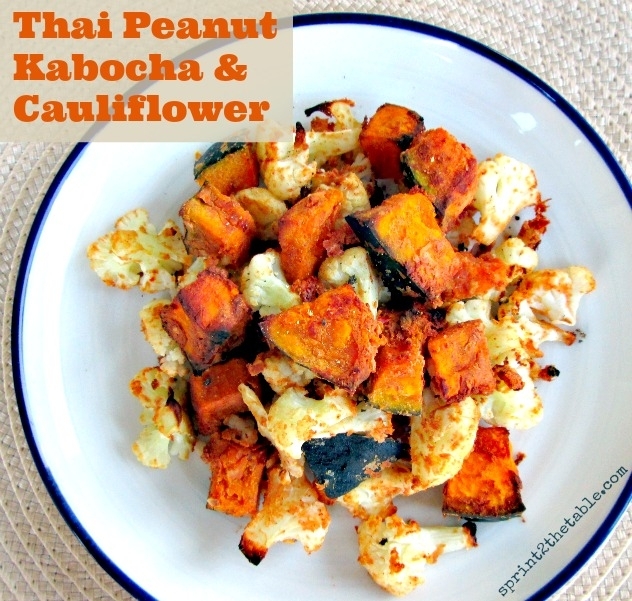 The spicy peanut sauce in this recipe is perfect with the sweeter kabocha squash! In a small bowl, mix together first 5 ingredients. Place cubed kabocha and cauliflower on baking sheet. Pour peanut mixture over the veggies and toss to coat. Place in oven and bake for 20-30 min, stirring once half way through. *I order my peanut flour from iHerb. Use discount code USO924 for $5-10 off your order!